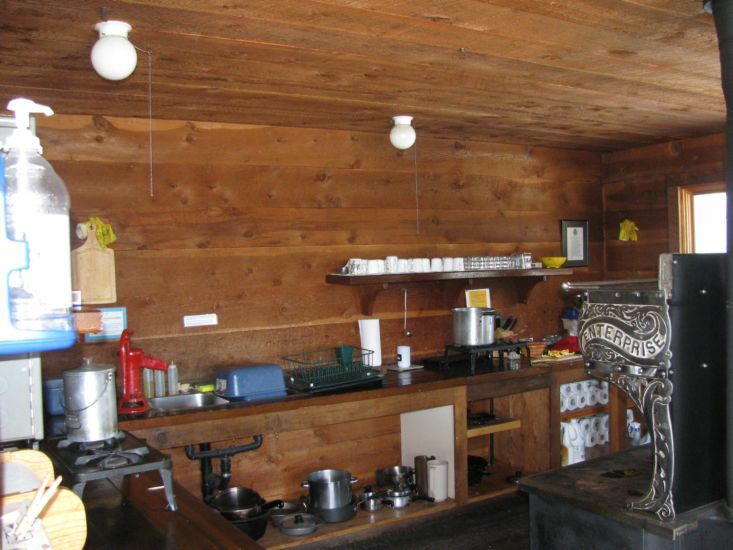 Uncle Bud's Hut, owned by 10th Mountain, is similar in aspect and construction to the 10th Mountain Division Hut. Views from the south window-wall include a panorama of 14,421-foot Mount Massive and the bare pate of Bald Eagle Mountain. 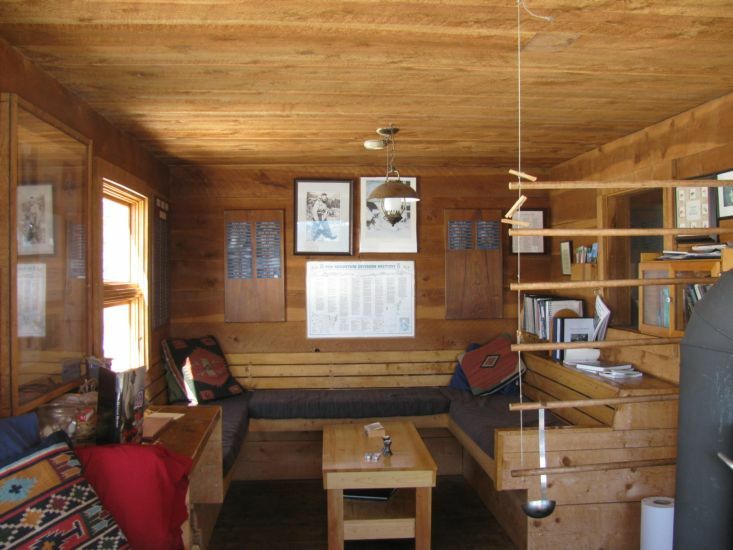 The hut was built as a memorial to 10th Mountain Division veteran Bud Winter (1925-1945), who was killed in action in Italy during World War II, and was one of 33 soldiers who completed the legendary "trooper traverse" winter ski crossing from Leadville to Aspen in February of 1944. Funds for the hut were given by Bud's brother, Dr. Fred Winter. His sister Laura contributed the proceeds from her poetry book Laura's Lines. This hut, combined with the Skinner Hut and BettyBear Hut, allows travel over Hagerman Pass to the Frying Pan drainage, thus forming a huge loop that strong skiers can enjoy. 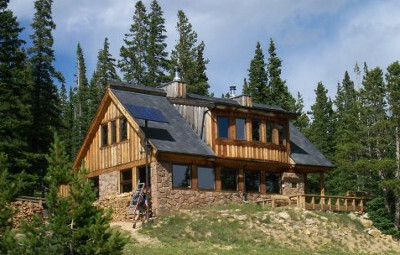 Uncle Bud's Hut is very accessible from Leadville via a moderate trailhead-to-hut route from Turquoise Lake. Use this route to reach the hut quickly, then spend a few days base skiing. Or if you're learning backcountry skiing, use this route as a step on your ladder of learning. 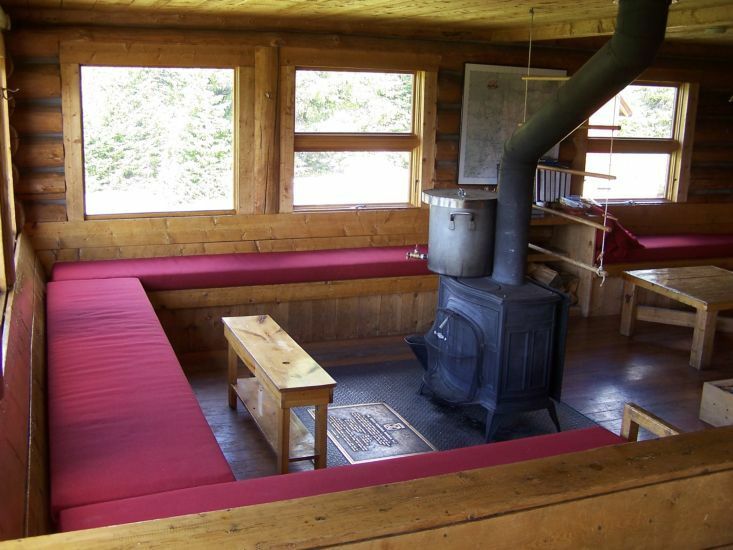 The main winter route into Uncle Bud's Cabin follows two Forest Service roads around the north side of Turqoise Lake and up to the hut. The straight forward route finding and steady road grades make for a moderate ski in to this beautiful hut. 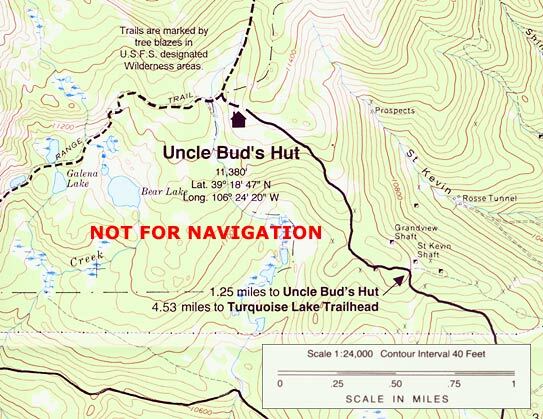 You can access Uncle Bud's during the summer by driving around Turquoise Lake and taking FS Road 107 to the summer closure gate approximately 1/4 mile from the hut. For a more scenic approach you can hike in along the Colorado Trail from the Timberline Lake trailhead at the west end of Turqoise Lake. Vehicle access is never guaranteed to any hut at any time. The Colorado Trail runs right near Uncle Bud's Hut and provides beautiful hiking in either direction. Galena Mountain also makes a beautiful destination hike. For a longer day of hiking and you can head down the Colorado Trail southwest to the Timberline Lake trailhead and hike back up to the lake for some excellent fishing. Below is a tribute video for the Uncle Bud's Hut. This film was produced and directed by Wildwood Films. Burdell ( Bud) Winter was a gifted skier, mountaineer, and climber, who served in the Tenth Mountain Division of the U.S. Army in World War II. 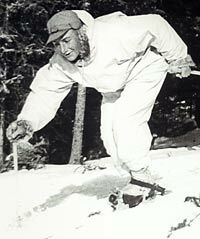 During Bud Winter's training in Colorado, he joined thirty three other Tenth Mountain soldiers to ski from Came Hale to Aspen. Images from film maker, John Jay and photographer, Richard Rocker, who were members of the group, are described in this video, by Bud's brother, Fred Winter and authors, Louis Dawson and Peter Shelton.